How Many Times Will She Turn 16? That is a valid question to which the answer is obvious, once of course. So knowing this you want to make sure to make this a very special day for your daughter. One that she will remember for a lifetime. Every young woman wants to feel special on their special day and what better way to do that then by giving them a shot at being the queen for a day. Let us take your daughter to her party in style because we know when she is feeling good then you are happy parents. This party will be the talk of the school the following week and you want to make sure your daughter is proud to go to school that week. If she had a great time then she will be a popular person at school. We can help with that. Our chauffer's are courteous, well dressed, and well versed in the art of making a 16 year old young woman on her birthday feel like a star. That is what we do here, go the extra mile to make sure the customer feels like the most important person in the world. 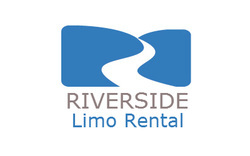 When you step out of one of our limousines, you will experience the difference when you have people listening to how you want your day to go and then follow that schedule to a tee. We can make sure your daughter has the time of her life and you can also rest assured that she is in good hands. So when you are ready to let us know the details, then fill out the form to the right or give us a call so we can set up this sweet 16 party.